The Email Return screen appears. 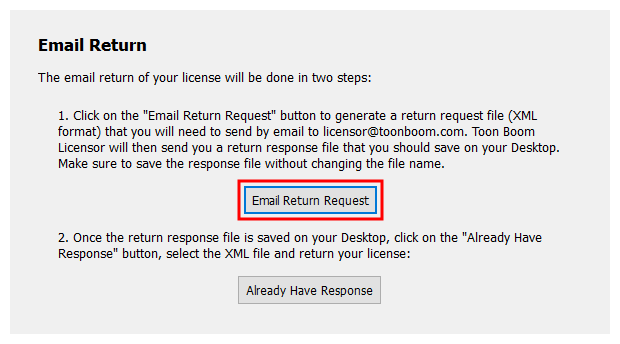 Click on Email Return Request. In the Product Code field, enter the product code of the license you want to return. 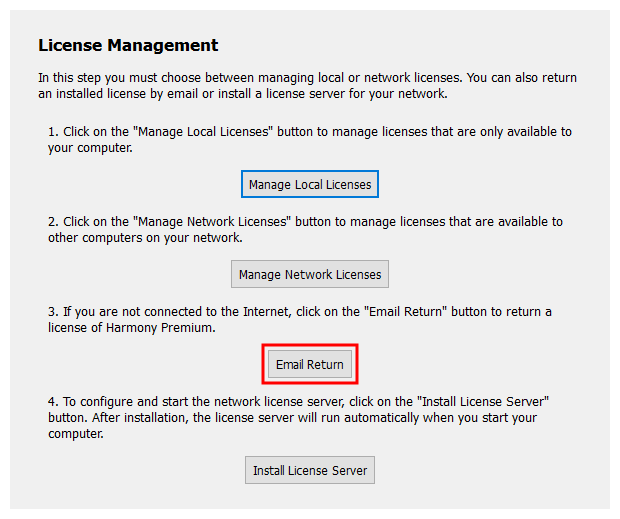 NOTE: To see the product codes of the licenses that are activated on your machine, see Viewing Activated Local Licenses. 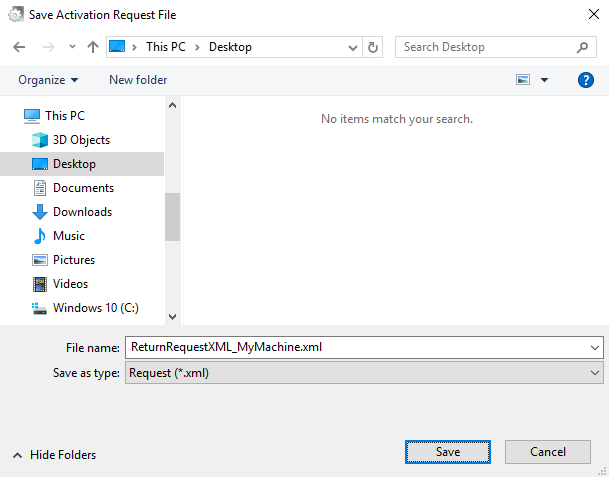 Click on Generate Return Request. NOTE: As soon as you press this button, the license will be disabled and will remain so until the return procedure is completed. 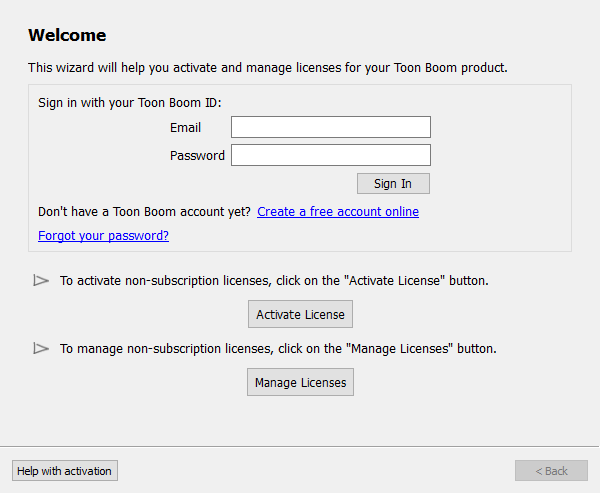 However, you must complete the procedure in order to be able to activate the license again later. Click on Save Return Request. In the Save dialog, browse to the location where you want to save your return request, then click on Save. 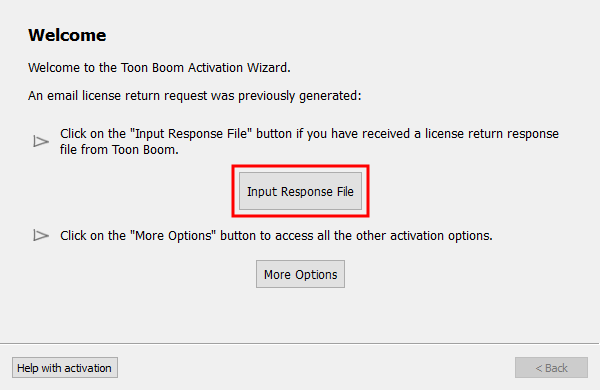 You will now need to send the request file to Toon Boom by email. If your machine has no internet access, use a removable storage device to move the request file to a machine that has internet access. In an email client, write a new email and add the activation request to it as an attachment. 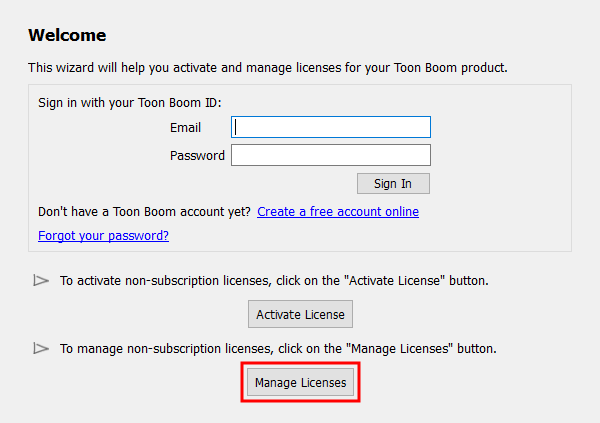 Then, send the email to licensor@toonboom.com. Wait for the response. You will usually receive your response within one business day. The response will have a response file attached. Download this file. The Welcome screen appears. This time, it will prompt you to follow up on the email return. The Complete License Return screen appears. Click on Select Return File. 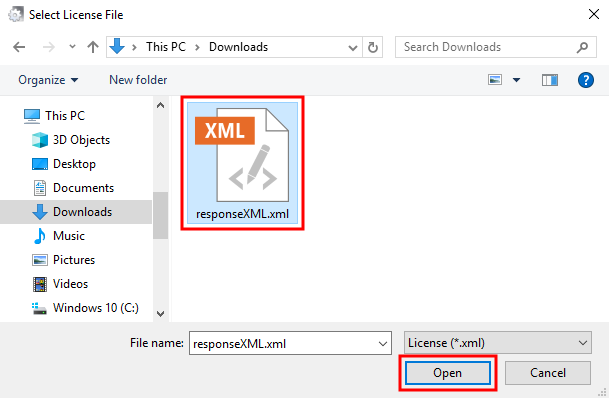 Browse to and select the responseXML.xml file you received by email, then click on Open. The license return is complete. The license will no longer be displayed in the Local License Manager.